Continuing with our previous theme “Sharkansas”, this week’s geo-pic is on Arkansas corals. Of course, corals don’t live in Arkansas today, but from about 480 million years ago, up until roughly 40 million years ago, coral would have been a fairly common sight in the natural state. The picture above is of a tabulate coral: a now-extinct variety of colonial coral. Each hexagonal corallite chamber housed a simple, individual animal, called a polyp, that could protrude and retract to filter food from the water. 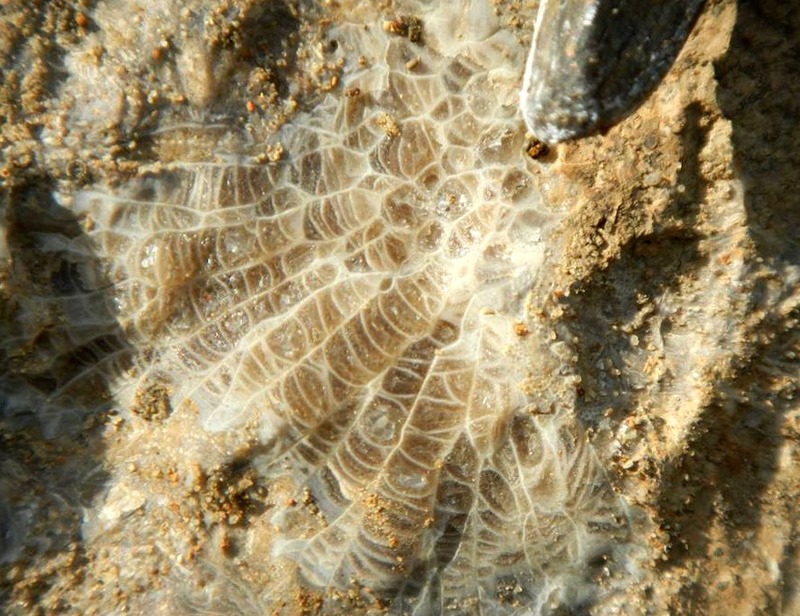 The chambers in this fossil are in-filled with the mineral calcite, but that occurred after the coral died and was incorporated into the rock. It was photographed in the Ozark Plateaus, in the Prairie Grove Member of the Hale Formation. This entry was posted in #geoblog, GeoPic of the Week, Sedimentary Features and tagged Arkansas, Calcite, Colonial Coral, Coral, Hale Formation, Marine organism, Mesozoic, northwest arkansas, Ozark Mountains, Ozark Plateaus, paleozoic, Prairie Grove member, Sharkansas, Tabulate coral on April 14, 2017 by argeology.